Everybody likes to get their monies worth with anything you buy, especially me. Over again and again my temptation to try out the monthly subscription service from Loot Anime has nearly taken over, but not yet. From watching unboxing’s such from fellow anime youtuber AnimePalooza, Gigi is subbed to loot anime. Her monthly unboxing’s I always watch and see gives the hard truth in what she think. It’s a hit or miss after looking around other videos and people’s posts. I’ll say one of the great things about loot anime all the products are licensed, no bootleg. For as what I feel about loot anime’s prices depending on what monthly plan you go with it’s around $40, that’s okay suppose. What has put me off to this point with loot anime is getting only 4 or 5 items among those are the monthly phone charm and poster. It’s not a whole lot to me your getting for your money in my eyes, from what I’ve seen you get in a box. Easily be able to get from sites like Tokyo Otaku Mode or my local anime shop. Having some sort of nostalgia anime in your box is a necessity as series Dragonball z, Pokemon, Bleach etc and fight by moonlight Sailor Moon. Any of those big franchises mean a lot to anime fans. 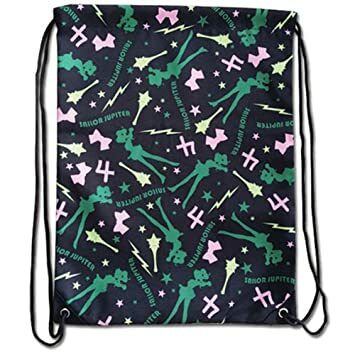 Seeing as I already have a Sailor Jupiter wallet a bag like shown above would be great. My obsession with Jupiter don’t think will ever cease to end sadly not. 2. 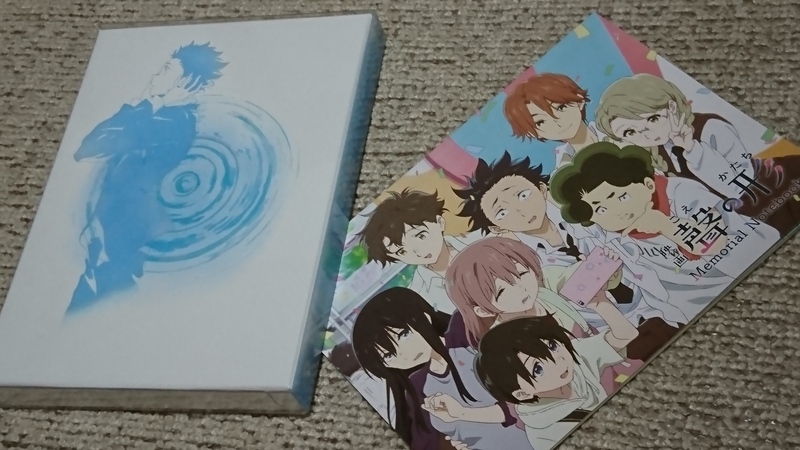 Koe no Katachi (Silent Voice) exclusive art book and cards. My love for A silent voice is beyond anything to put into words. Be nice as a exclusive honour to include a hard cover art box, full of sketches from the movie, screenshots. Along with some good high quality art cards, not on that cheap paper I’d want, Images from this movies I’d look at all the time. Regarding it’s home release in Japan did it not get a exclusive like this, so tease something like this. I’ll say happily TAKE MY MONEY!! During the summer is Australia, I’ve grown to enjoy wear bandanas more often. I only own one nerdy bandana with toothless all over it. Including a anime themed Bandana is something I’d wear whenever possibly could. Finding useful things in your box is great benefit to anyone, or ever a themed anime clip would be cool. Escaflowne Bandana make it happen someone….. you can have my money then.. will talk. To satisfy my mecha love any mecha from any gundam series, I’ll gladly take any to have on my car keys. Spread the gundam love. Give me a Kira Freedom mecha keychain then will all be good. It would be great when you buy limited edition boxsets sound tracks would come with them. 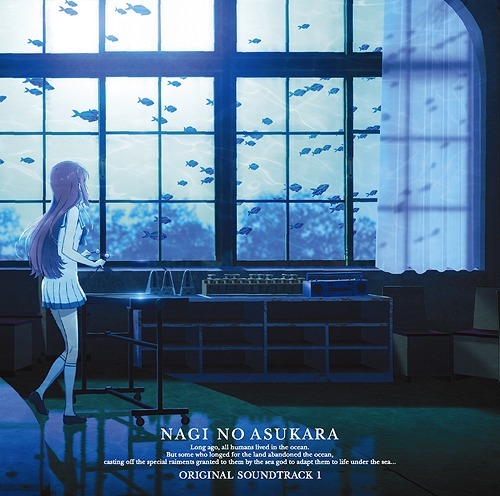 Another exclusive item a CD or OST people would go gaga for, If my so called box had the Nagi no Asukara OST soundtrack in it. My jaw would be on the floor. This would be such a cute idea a little mini scrapbook about the size in the image above. Book binder use to keep in secure from falling apart. Each page would have a famously themed anime background, the set coming with anime themed stickers. People could use this as like a con scrapbook could be an option. I’d certainly use this and be something different out there. A poster I’d proudly hang on my wall is of a all the studio ghibli movies. This would be a great exclusive item to tease, like it to be put on high quality paper. No cheap end stuff, even it it’s just a mini one. A colleague of all the studio ghibli on a poster any anime fan would want. Hope my voice may be heard some day but roughly the items above are an idea. 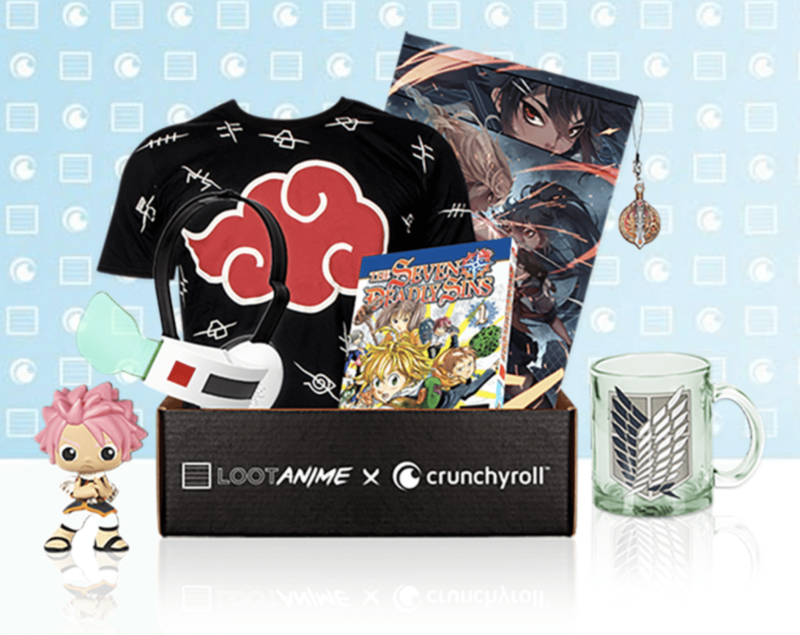 If ever wanting to get a loot anime box having any of these similar items, would consider me to sub. For now until anything changed my money will stay with me. Either way was a different, fun post to write such as Loot Anime want to hear what their fans want. It’s important from your point of view to express your interests, otherwise Loot Anime can’t cater to what people want. So posts, videos they hear from someone among thousands adds to the collective chain of ideas for the future. 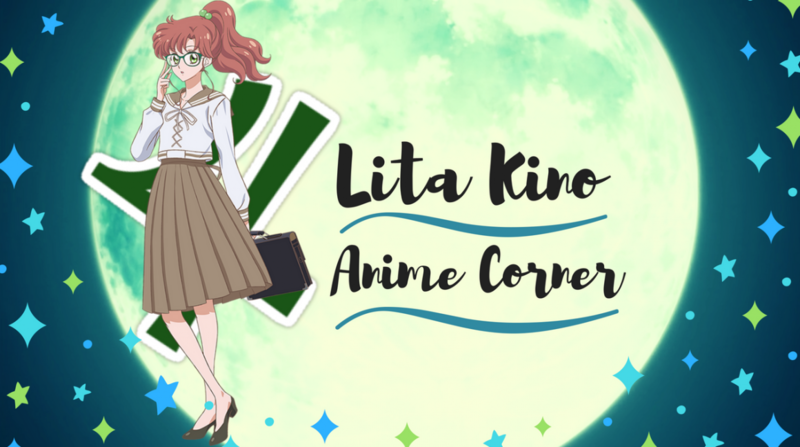 I hope you guys enjoyed this post, I’d love it if any you guys would do a response piece to this in what you’d like in a loot anime box? or either comment your ideas down below. I’ll let you know the day maybe… when loot anime can have my money. My biggest issue with blind boxes in general is the lack of choice. If you don’t like the stuff it the box TOO BAD. I just don’t see the point in spending £30+ on a box full of potential rubbish when I can spend that same money on things I actually want. I love the scrapbook set idea!! That’s creative, Lita!